Here are the most common questions we’ve been asked and how to respond. If you have one in the list, just holler in the comments and I’ll respond. 57% of all social media advertising dollars are invested with Facebook, which is starting to approximate Google’s stranglehold on search. But how to justify the budget and effectiveness? How do you make paid, owned, and earned media work together to make you look good? So you’ll see in our approach how we keep bringing the conversation back to a business goal, then back it up with data. Data wins arguments. 1. What’s the Value of a Like? Syncapse said it was $174 last week. Adidas said it was $99 two years ago. The Wall Street Journal quoted our average cost per fan of $1.07 from 3 years ago. But these numbers are all bogus until you can tie that fan to a sale. That means you have to match on email address, tie back to a coupon code, or tie back to your point of sale (via a partner like DataLogix, if you’re a major retailer). Facebook is the social PO Box — you pay postage to deliver your mail. So the fact that they see your messages and interact is nice (CTR and % reach are a proxy for relevancy), but you must tie that email to a lead or transaction. Like it or not, if you’re going to measure ROI in Facebook, you’re going to use Facebook to collect emails (in a custom tab) and pump your emails back into Facebook (via custom audience targeting). For CEO vanity metrics, enough has been said about this. PTAT is only slightly better, but still not as strong as site visits and conversions. 2. But doesn’t having a large number of likes still matter? Sure. If you have 5,000 fans vs just 5 fans, the 5,000 fans looks more credible, all else equal. You can buy hundreds of fake fans and thousands of twitter followers for $5 on various sites. Others claim that this impacts EdgeRank (or “the algorithm”, as Facebook has been chiding us to use). I don’t think so, since EdgeRank is a concept to calculate the strength of an “edge” (a connection) between any two objects. So it could be Jon Loomer and myself with the content we are sharing forming new edges. It doesn’t aggregate up to the page level. However, a highly engaging page will be generating a lot of edges, or connections between objects. If you’re selling sugar water, go for fans since it’s probably more effective targeting than your mass-blast TV budgets. Nielsen OCR (Online Campaign Ratings) actually measures the efficiency of TV and digital campaigns. Of course, 15-20% of what TV reaches will actually fall within the intended demographic, while it’s often north of 80% for digital. And if the fans are real, there is value in being able to do friend-of-fan targeting (Jon Loomer likes this), even though Facebook is taking away the friend-of-fan reach metric from insights soon. 3. What are your tips for getting more likes, especially if I have no money? Will “black market” fan buying hurt me? I suppose Facebook could shut you down for aggressive fake fans. We’ve seen a few guys disabled, but it was due to other stuff in conjunction to fake fans, like promoting Russian brides. What will most likely happen is that you’ll see your fan base dwindle over time, as Facebook’s algorithm prunes these guys out. It’s especially brutal on twitter, but that’s another story. Most consultants like to talk about creating great content, when to post, why pictures are important, etc… to build the fan base. But rarely is that going to work. And you might not have the time and energy to wait that long. Bottom line is if you want to grow your audience, you must send traffic to your Facebook page. The easiest method is to advertise, for the same reasons that trying to organically rank on “car insurance” on Google for a brand new site is a challenge. Just buy your way in, since the “free” traffic is not free — your time is worth something. But if you just don’t have ad dollars (maybe you’re in a big company and the budget has dried up for the quarter), you can still drive traffic by mentioning the Facebook page in your email marketing, dropping a social plugin on your site (not the static “like us on Facebook” button that everyone has), and getting other friends to mention you. If you can steal out of the paid search budget, run Google ads to your Facebook page. Users see the facebook.com display url and assume it’s high trust. Most users don’t even know that the stuff on the right in search results is a list of ads, anyway. targeting fans of competitors with page like stories in the mobile newsfeed placement. Expect your CPC to be half in the newsfeed in general, with mobile being even better. page post ads targeted to friends of fans who still are within your target audience, with action specs set to page like (not the default of just getting more engagement). a traditional RHS (right hand side) ad that has a funny image, headline and body. “Click LIKE if you love bacon” worked well for us on Carl’s Jr, but I’d have to say the fan quality was low. An in-line action (when they click like or take action inside the ad unit itself, has lower cost at the trade-off of lower quality. targeting Turkey, Brazil, Mexico, and Colombia. If you want more fans — real fans, but of junk quality — go after these markets. You can get fans for a couple pennies if you do it right. We see a blended CPM of about 35 cents for US traffic, but in places like Turkey or Brazil, it might be 2-3 cents. A CPM is cost per thousand impressions — bid optimized CPM in most cases. 4. How many people are listening in Facebook as opposed to Twitter? I’ll give $100 to anyone who can answer this question. There is no such thing as an impression on twitter, except perhaps for ads. The consumption of twitter content is largely in 3rd party tools, so even twitter doesn’t know what was seen. They don’t even know who is real, despite various tools that pretend to know. On Facebook, we have fans, PTAT, and interaction level data public on everyone. And with insights, we have a couple dozen flavors of impressions — paid, owned, earned at the page and post level, as well as broken by gross and unique. For example, we have reach (also known as unique impressions) and total impressions on a post. The ratio between them is frequency. Yet at the page level, we have a 24 hour, 7 day, and 28 day reach. Of course, you can’t add up the last 28 days of daily reach to get your 28 day reach — for the same reason that if you have 100 unique visitors to your site each day, you don’t have 3,000 unique visitors. Nearly everyone gets tripped up on this if they’re pulling insights API data for the first time. The more Facebook gets into mobile, the greater the problem becomes, since people will be interacting with Facebook in shorter, more frequent intervals. No such thing as a session, page view, or bounce rate, of course — that’s for the world of web analytics. 5. What tools are people using in Facebook? I’d say the very best tool is the one that’s sitting between your ears. Tools don’t replace a well-considered strategy backed by solid content, an underlying email marketing program, and an ad budget to push traffic. I happen to like posting to Facebook natively, because you can backdate and postdate your content. No penalty for organic. The best ads tool on the market is actually Facebook’s own Power Editor, believe it or not. It’s free, has the latest features before anyone else, and will do the job for 99% of advertisers. I was teaching a social data mining class today at UC San Diego and one of the professors said, “An idiot with a tool is still an idiot”. That was his way of saying that knowledge is what’s in short supply, not software. And this is coming from yours truly, a guy who’d love to sell you some software. 6. How do teams staff to support Facebook? It’s a “one man band” if you’re a small business or consultant, then you’re having to do it all. But in general, there should not be a “social” person, any more than you’d have one person who’s allowed to do marketing strategy. Operating with one voice on Facebook means that whoever is producing content must have a workflow to get it into Facebook and tie to the ads folks to be able to amplify it. The PR and community management folks must be there to respond to all customer comments, while the analytics folks count the money. But if that’s too much or you want to start small, look at Jon’s post on how to set up Custom Audiences of different combinations, including lookalike audiences for reach and similarity. That’s the easiest way to drive immediate ROI, if you have a list that is already producing for you. 7. Once you’ve built a Page for your business, how do you build conversation? If you’re Gary Vaynerchuk, you say you should respond to everyone, always. That’s being social and it’s hard work. The data geek in me says do it because it creates more edges between you (as the page) and that user, such that your relationship is strong enough to compete with the stuff his friends are doing in the newsfeed. The average fan on Facebook who has interacted with a major page has only 2.1 interactions over the course of their lifetime (about a year), based on our research of nearly a trillion impressions. That means people become a fan, perhaps click like on something, and then die. The cynics say that Facebook is squeezing them in the newsfeed, so that we have to advertise to get reach. Facebook says that businesses have to create more interesting lightweight content over time, in an increasingly competitive environment. The truth is in the middle. We ran a test with a TV network where we uploaded the email list of their fan club and ran page post ads. 40% CTR– not a typo. The average CTR on Facebook is about 0.040%, so we were 1000x better. That means that if you get the newsfeed exposure, you will certainly drive more interactions. But that’s assuming your content is shareable to begin with and you’re in an interesting industry. 8. How do you know you’re succeeding as a business on Facebook? Ask the business owner what metrics she cares about. Revenue and profit are probably what she’ll say, not fans, reach, PTAT, or negative feedback ratios. Do things that juice the metrics the boss cares about, as opposed to trying to first convince them otherwise. Better to establish your credibility first, which earns you the right to suggest later. Of course, know that when you shift from vanity metrics to engagement to email collection, they’ll tell you that it was their idea all along. So why didn’t you do what they initially recommended? At that point you just smile and tell them they were right. One case study we’re going to share is with an online retailer that split their list in two: 20,000 emails of people who have bought in the control (no Facebook ads), and the other 20,000 folks who we uploaded to Facebook as a custom audience. For a week they spent $200 on running page post ads to the test group, while the control had no ads. Then they mailed the list. The group that was “warmed up” drove almost 50% more revenue than the folks who got only the email. Have you run simple split tests like this? It’s not built into Facebook natively, but it’s sure easy enough to run this A/B test yourself. Ping me if you want to know how to measure lift. You simply look at the differences between the groups in open rate, clicks, conversions, and revenue. Your lift is the incremental revenue, from which you subtract your ad spent to get your increased margin. 9. How much time do you need to devote to maintaining your Page? A few hours to get things going (if you’re just starting out) and an hour a week planning out what you’re going to do that week. We’re all super busy, so make sure you schedule your strategy time, else you’ll lose track of things that are flying all over the place. If you don’t have a lot of time, commandeer an intern from somewhere or get someone from customer care to help you. If they answer email or the phone, they can certainly answer Facebook. 10. How often do you post on Facebook? Any rule of thumb? I’d ask you how often to do post on your website? How much interesting content do you produce or can you curate (a nice word for grabbing other people’s stuff and commenting on it)? In general, at least once a day is good, but if you’re in entertainment, CPG, or a fun area, you can do 4-5 times a day. The news guys can do 30-40 times a day without much negative feedback. Look at Being Liberal and I F*cking Love Science. Both have more active users than Coke or any brand you can name. NO ads, just a single person on each page that is curating content. 11. What’s the best day and time to post on Facebook? At 2:42 pm on a Wednesday, making sure the post is between 120 and 130 characters and has an image containing kittens, bacon, and pretty ladies. Ridiculous, of course. Look at your web analytics to see when YOUR customer base is online. 12. 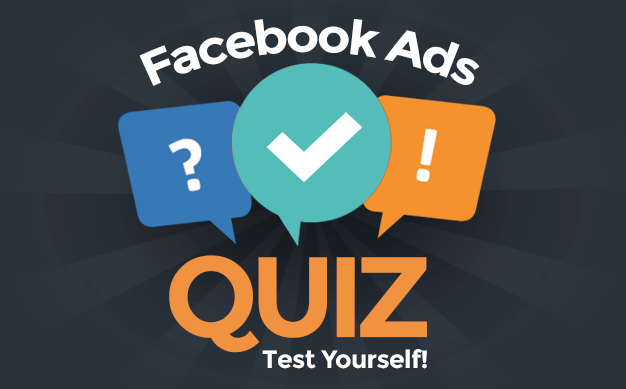 Facebook Ads – do they really work? I’d like to tell you no, since I’d want all the inventory for myself! Really, Partner Category targeting is fantastic, especially when you use it in conjunction with the existing precise demo, and connection targeting you have in place. Remember, this is mostly point of sale transaction data, so the fact they own an Audi is a far stronger signal than them being a fan of Audi. 60% of the fans of Ferrari are boys 13-18, so know when to cross different target types. Too bad we can’t combine custom audience and partner targeting yet. But tricks like workplace targeting still work like a charm after four years still. Target people who work at Facebook, for example, and they’ll see what you’re up to. We’ve talked at length about how you can target the media to write about you and share your latest research. But rather than this grandiose plan, just start with a couple quick things. You can get decent results with just a couple hours of set up. Let me know below if you have questions to add to this. Dennis Yu is a Facebook ads and analytics geek, founder of BlitzMetrics, and connoisseur of chicken wings across the globe. Formerly of Yahoo!, he has been featured in CNN, the New York Times, Wall Street Journal, LA Times, NPR, and other media. Catch him on Facebook, LinkedIn, or his blog.